When you're trying to get healthy and eat right... chomping on small meals throughout the day is super important! 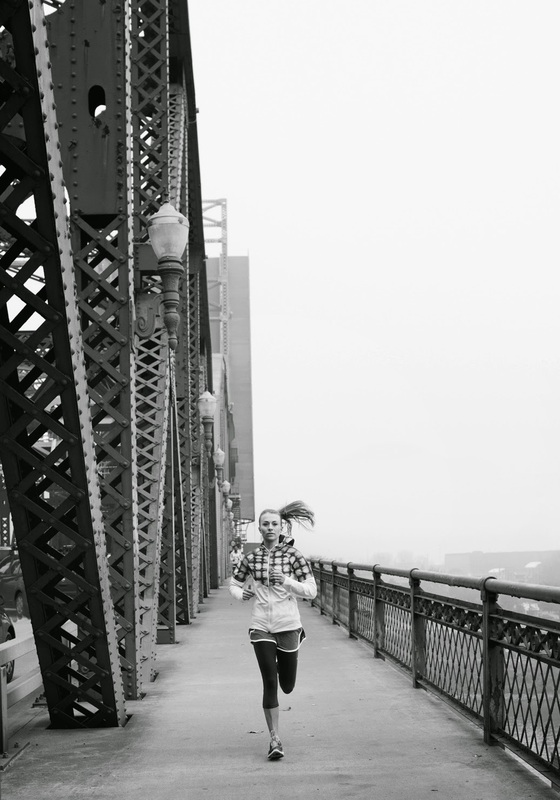 But, busy schedules and failure to prepare often get in the way, resulting in un-met goals. A vital key to a clean diet is preparing ahead. When you have food already made and WITH you, there's less temptation to hit up the drive through, and you avoid getting so starving that you binge out on those office cookies! Even as a stay-at-home mom, I prepare meals and snacks ahead of time so I don't give in the the gold fishies trying to swim into my mouth or the animal crackers begging to be gobbled up. The hardest meal/snack for me is mid-morning... in between diaper changes, nap # 1 for baby girl, nursing and pumping, playing with big baby boy, cleaning up toys, playing and so on... It's easy for me to forget that snack between breakfast and lunch, so this is a prep-ahead must!! 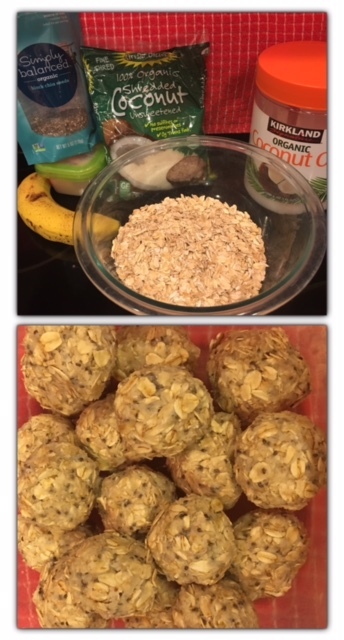 My absolute favorite bite to eat at this time is coconut banana energy balls!!! They're portable, zero-mess and fast! Two little balls are a serving and they take 1 minute to get down the hatch haha! Here's the recipe... You can make your own little additions like dark chocolate nibs, PB2, dried cranberries, cinnamon, etc..
Mash banana and then add all ingredients in a bowl. Mix well. I use my hands to get it all gooey together. Make 20 small balls. Place in a tupperware in fridge and you're ready to rock a healthy mid-morning snack!